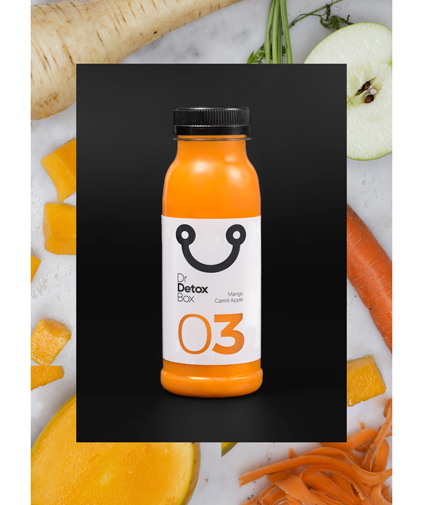 Through the combination of carrot, mango, parsnip and watermelon, this juice out of your DrDetoxBox contains high doses of beta-carotene that is converted into vitamin A. It helps create a healthy immune system and has a positive effect on your eyesight. Furthermore it contributes to healthy teeth and skin. For the ultimate taste experience we have added mango, which coincidentally charges the immune system with an extra boost.